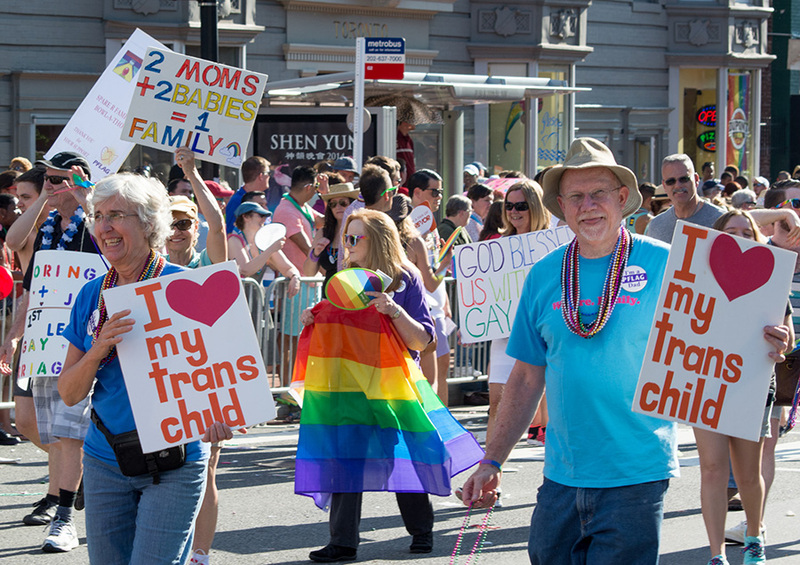 PFLAG marches in the Washington, D.C. pride parade on June 7, 2014. This representation and societal respect that PFLAG is advocating for is not debatable. It is a basic human right. Over the summer there was a second flag flown in the Peachtree City Fourth of July Parade: the pride flag. Parents, Family, and Friends of Lesbians and Gays, an advocacy group for the LGBTQ+ community, waved the flag for the first time in Peachtree City’s parade. Then a Peachtree City resident decided to share his opinion on LGBTQ+ people showing the pride flag in our town. I have to say, I’m not a fan this resident. There’s so much positive change that he deems as somehow “oppressing” his traditional religious values. There are also a lot more interpretations of the text based on what language it was translated from. So this whole argument that being LGBTQ+ is a sin is really just the effect of people imposing their own opinions on a translation. Now for argument’s sake, let’s just pretend there is something said against LGBTQ+ people in the Bible. Even then, it’s still just a “sin.” Ever worn two different fabrics at once, eaten pork, tried to convert someone to a different religion, or ever worked on Saturday? Well, then you’ll be sitting in your Hell next to all the gays. You can’t just pick and choose what you want to deem as sin in the Bible and then discriminate against a group in the name of your religion. If you’re going to be homophobic, then just be open about it so everyone knows exactly what your true intentions are. 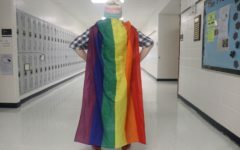 Don’t go around saying stuff like: “I certainly don’t want any group of people to be denied their legal and constitutional rights or be left vulnerable to unjust discrimination or bullying,” like the writer of this letter to the editor, then go and talk about how you don’t think kids should be taught to accept and respect an LGBTQ+ person’s identity. Just pick one or the other, because even if you try to hide your homophobia by saying that these people can have legal rights but not the societal respect they deserve, then that’s still homophobia. It’s not redeemable or considerate. This belief that LGBTQ+ people are somehow “wrong” for fighting for societal respect because of what they are needs to die now. Notice I say “are” not “choose to be,” because we should all already know that you can’t choose to be LGBTQ+ just as you can’t choose to be a cisgender hetereosexual. Even if you still believe in clinging to this belief that’s not even really backed up by your religion, this idea that you hate people who aren’t going to be affecting your life is simply insane. 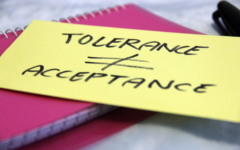 Now, I could possibly wrap my head around someone hating an entire group of people who just want to not be discriminated against and have no representation anywhere, but what I don’t understand is why one feels so compelled to spread that belief to others. The resident said he likes the idea of “live and let live” and yet he is somehow concerned about why LGBTQ+ activists want to be able to live. All of the groups that are trying to “change your kid’s ideals” are just trying to eliminate the systemic discrimination against LGBTQ+ people. But here’s the sad truth: we’ve all but given up trying to change the homophobic adult’s minds. Maybe with the action of organizations like PFLAG, we can convince those not already set in their ways, and in a couple hundred years maybe we won’t have this problem. Wonderful op-ed, Abri! 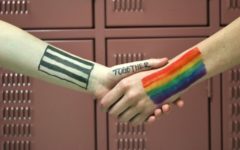 We welcome Starr’s Mill students to walk with us in next year’s July 4th parade to show their support of the LGBTQ+ community in Peachtree City. You and other open-minded youth are our country’s future. We have a youth support group (led by trained facilitators) that any LGBTQ+ student or ally can attend every third Thursday from 7 to 8:30 PM. Check our website at pflagptc.org for more info. Thank you so much! It sounds like a great opportunity to get involved with you guys at PFLAG and I’m excited to get more involved in our local LGBTQ+ community! Yo! Abri! I can’t believe I found your article, this is SO GOOD! You should totally march with us next year. Despite how it looks, we do get a lot of cheers that counter act the hate. I also read that guy’s hate thing, it was…interesting lol. This is Danny by the way, from the Peachtree City PFLAG group. Hope to see you next month! !